Don’t laugh, but your baby’s ability to point to what he or she wants is one clear sign of a highly evolved human being. So, when do babies start pointing? Babies learn to point between 12 and 18 months old. 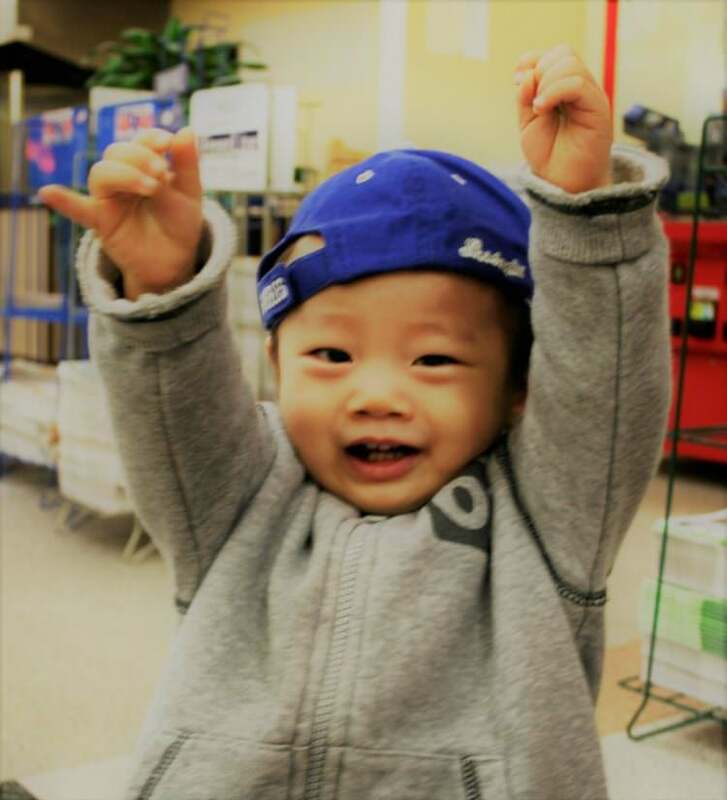 Baby Pointing is a key body language development milestone along with waving bye-bye and other gestures. Why is this ability important? How soon should you be alarmed if your baby isn’t pointing? Let’s dive in a little deeper to find out. Is Pointing Really that Big of a Deal? Yes. Although it varies how frequent or early babies will point, it is their way of interacting with their world. It is also one of the earliest forms of communication for your little one; just the natural next step in his or her ability to communicate. Kids pointing at things they see or even want is an essential developmental milestone. Why Is My Baby Pointing? Your baby points for all sorts of reasons! They do it to express themselves, express desires, to share experiences with others, to draw attention to someone or something, and even to refer to things that are no longer there. More often than not, your baby is pointing to communicate something specific. When Do Babies Start Pointing? 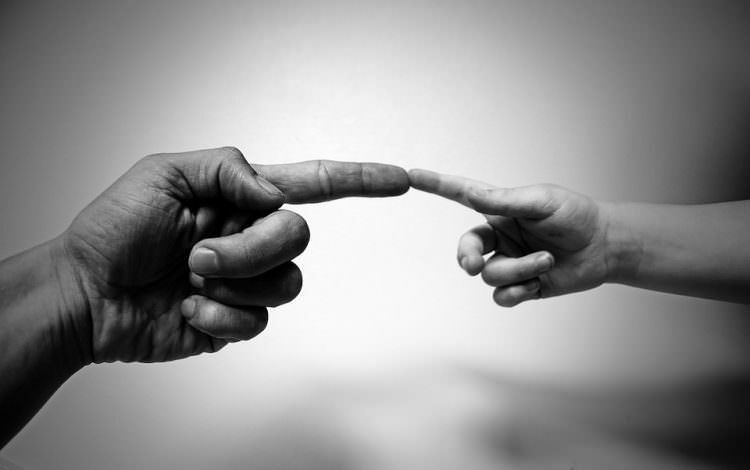 Pointing is just one physical or non-verbal way a child communicates. Others include hand gestures, arm waving, waving bye-bye, or lifting their arms in the air to ask to be carried. When these gestures begin vary depending on who you ask. However, on average, your child will do one or all of these between 12 and 18 months. Pointing at a desired object is what is known as declarative pointing. This is when your child points to show something to someone else. A child pointing to something that he or she wants with the expectation that you will get it for them is what is known as imperative pointing. Your toddler’s ability to point to something to draw your attention to it is a major developmental milestone and is called joint or shared attention. This is also one of the earliest signs of social interaction. Kid pointing is just one of many milestones in your child’s brain development. It encompasses a combination of gross motor skills and language skills, including hand-eye coordination. If you want to become better at reading baby body language, becoming familiar with development milestones in pointing will help. Toddler pointing and your child’s use of gestures is a great predictor of his or her vocabulary size later on. Pointing basically paves the way for language development. 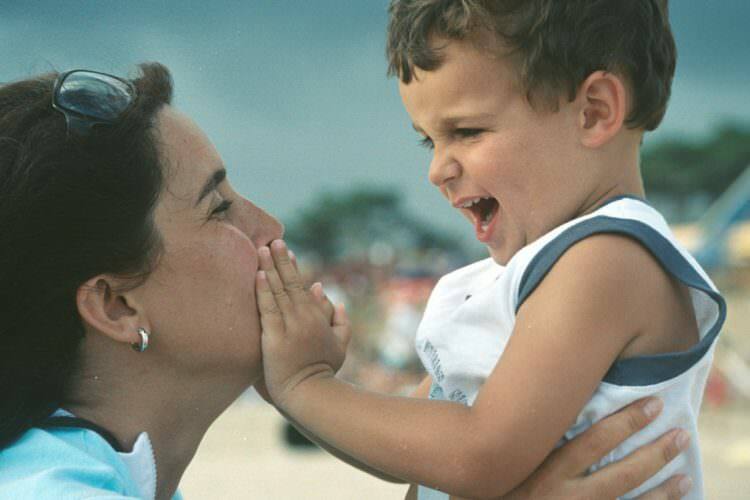 More often, a child’s first word will be something that he or she has pointed to previously. Baby pointing is important in child development. We at ADAM & Mila want to make it easy for you to help your baby with his or her child development pointing. Here are some tips on and easy practical ideas. Teach your baby to sign. Baby sign language is one effective way to teach your child to point. Model the behavior. This can be done easily! When you read books to your toddler point to the pictures or specific objects you see. Blow bubbles. If you blow bubbles for your baby and pop the bubbles with your fingers, soon your baby will use his or her finger to pop them too! The following is an overview of the 11 distinct pointing development milestones from birth to two years old. Development Milestone emerges from age 1 to 6 months. Within the first six months of your child’s life, he or she will show signs of active interest in people or objects with eye-gaze and body language for at least one minute. Your baby will also do this to avoid interaction. Examples include smiling and turning away, which occur frequently through parent-child interactions. Development Milestone emerges from age 4 to 5 months. It is likely at this age that your baby will gesture either for you to continue with a favored activity or stop when he or she does not want to do it anymore. Examples of this behavior will include arm waving or turning away for more than a few seconds. Development Milestone emerges from age 5 to 9 months. When your baby is younger, between 5 to 7 months, he may do this just to be closer to his parents or trusted caregiver. As he gets older, between 5 to 9 months; when your baby does this, he is basically asking to be rescued from strange or unfamiliar situations. Development Milestone emerges from age 6 to 9 months. It is such a joy to witness for the first time your baby waving bye-bye. At this age, your baby probably doesn’t understand the full meaning of it and may wait to do it when the person is out of sight. Your baby’s wave may vary. He may use his arm or just a subtle opening of his hand when it is at his side. Development Milestone emerges from age 9 to 12 months. When your baby girl wants you to look at something she will hold it out as a way to communicate that is what she wants you to do. She will do this for approval, acknowledgment, explanation, or to share. Additionally, she will alternate her eye-gaze between you and the object. Development Milestone emerges from age 12 to 14 months. At this age, you will be able to better understand what your toddler wants. This is because she now understands that if she wants something she can simply point to it. Additionally, she will alternate her eye-gaze between you and the object to further communicate that she wants it. 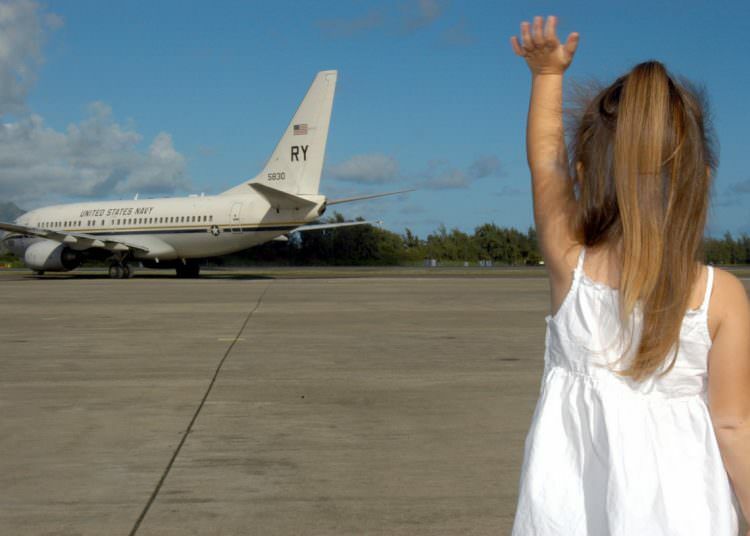 Your child no longer needs to see you or another person wave “bye” in order to wave “bye-bye” in return. Modeling is no longer necessary. Verbal cues are enough for your child to respond with a wave. At this age, your child’s waving gesture is also a lot more developed. When your little one wants you to either look at, share, explain, or help with an object or toy, he will spontaneously give it to you. Afterward, there may be a bit of back and forth between the two of you before he proceeds to play with the toy with you. Development Milestone emerges from age 12 to 19 months. Development Milestone emerges from age 17 to 19 months. You may notice your child gazing out of a window, noticing distant sounds, or pointing at something that is too far away to reach. To draw attention to those distant objects your toddler with spontaneously point to them. Examples of distant objects include airplanes, fire trucks, cars, birds, the sun, or the moon. Development Milestone emerges from age 18 to 24 months. Most babies begin to point to objects on his or her own between 12 and 15 months. However, it is important to keep in mind that every baby learns at his or her own pace. So, don’t worry! Always speak to your pediatrician for serious concerns. Otherwise, try out some activities with your baby to help her with her many other developmental milestones and remember to have fun! We hope that this article was helpful to you. We would love to know what you think! Please share our article with others who might benefit from it. Really helpful page! My son is 11 months and points to pretty much every word we say to him. He’s been walking on his own since 7 months. However, he only really says dog & mama. Sometimes I hear other words here & there such as duck & bear. I think he doesn’t say much because we already know what he wants & he is constantly being played with by either myself or my mother… so we know what he wants before he has to say it. It’s a relief to know that his language development is normal. Thanks again for the insight. Hi Nichole, glad you found it helpful! Sounds like your son is doing great, I wouldn’t worry at all. Language tends to arrive in spurts, suddenly you will find him using a lot of new words that he did not use just a month prior. The fact that you know what he wants means he is already successful at communicating, so that is pretty good. One little tip you could experiment with to encourage him to be more verbal is to ask him to confirm what he wants, even if you already know what it is. Say for instance that he is pointing at his milk, instead of just handing it to him you can start by asking “do you want the milk?” – it also helps him to develop the basic patterns for asking questions – which by the way will come back to haunt you about 24 months from now! Hi there, need some advice. My 16 month old is not pointing yet and I’m worried. She does clap and wave, but no pointing. How does your daughter communicate her desires? Would she normally gesture? Or does she already use words to express what she wants? I ask because pointing is closely linked to communication and early language development in general. Try to work on the whole set of language development milestones. Ultimately the goal is for her to learn how to express herself. Pointing and body language is just part of a whole. When practicing pointing start with people/objects that she is very familiar with. “Where is mummy?, where is daddy?”. Picture books are great, first you point and name the object, then ask her where it is. Also don’t stress about “index finger” pointing, that comes later. (Although you can check the milestones related to pincer grasp if you worry about her ability to use the index finger). This should not be considered medical advice, do make sure to check with your pediatrician if you worry that there could be some underlying medical condition holding your daughter back. From what you say it sounds like your daughter is doing fine, give her a little more time and I am sure she will point at something very interesting and make you super proud! When she wants something she reaches for it or tries to climb to get it she’s been able to walk since 10 months and climb well since 13 month, so she gets places easily. If she can’t reach it she looks at me and cries, but won’t point. She does use some words. For example, when she wants to be picked up she will put her hands up and say up. She also says hello to everyone she meets and says bye and waves most of the time. I have been working with her and pointing to things in books, but she seems to not get it and even shows frustration sometimes. She does respond to some commands for example, if i say its time for a nap and go brush you teeth she will go to her crib or to the restroom. Overall she has more than 10 words that she uses consistently. Sorry for the long post. The doctor was not concerned, when I told him about her not pointing, he said give her until 18 months, but it’s agonizing waiting. Haha, welcome to parenting, the antagony is not about to stop anytime soon. Sounds like your daughter is doing great. A year from now you will be laughing at how worried you were about her pointing. Keep up the good work! Sounds like you are a great parent who is dedicated to giving your daughter the best life possible. P.s. do make sure to switch to another activity when she shows frustration – there are plenty of great learning activities to chose from, and learning works so much better when it’s fun! Hello my daughter is also 16 months and does not point to anything yet either. I have been a little worried. She does not yet say any words, but is very social, smiles a lot, claps and waves (sometimes when asked!). She doesn’t really ask me for anything just climbs to get it herself. I have been modelling pointing to her and she has one stuck her finger out but not at anything in particular. The only thing she demands is that I pick her up and she reaches her arms out to me. Should I be concerned or does she just need a little more time. I was wondering if your daughter started to point? I’m worried about my little boy. He uses his whole hand to request and share interest. He is 15.5 months. Hi she’s 20 months now and she pointed to the ceiling fan a few days ago and looked at me! She doesn’t point a lot she will now point to her nose when asked most of the time again only recently, the daycare provider tells me she points to ask for her drink but she does not at home, maybe we anticipate their needs too much, she’s slowly progressing but still not talking, working hard on it, it does worry me but let us try to enjoy our babies in the process, we will forever worry I’m sure, how’s your little boy doing how old is he? my daughter is 18 months but is not doing any of the above things. she doesn’t point to object but looks at them and try to reach out for it herself and if she can’t she screams to get my attention. she doesn’t wave goodbye nor clap. she hasn’t uttered any word as at now. I can understand your concern. Have you asked your pediatrician? if not that would be the next step. Most likely she will not get a diagnosis, as she is still very young – however, your pediatrician (or another specialist) might be able to identify development delay and help point you to some ways to support her development. Earlier is always better. Hopefully, there aren’t any serious problems – but do make sure to get a professional assessment, if for no other reason than to end your worries. Language delay is to be expected for bilingual children, it’s just harder to learn two languages at the same time – however, this is a great gift for your son that I am sure will bring him much benefit later in life. The thing doctors worry most about when a child is not pointing is ASD. Autism can be a bit scary, and I guess you maybe have already started to worry about something like this yourself. The key thing to remember is that not pointing is not the same as having ASD. Here is a study by two professors at Yale who studied a group of high-risk children from 9 months to 24 months (https://cpb-us-w2.wpmucdn.com/campuspress.yale.edu/dist/a/1215/files/2015/11/2010_Clements-and-Chawarska-Beyond-Pointing-1b5o807.pdf). Of the 22 that had not yet learned to point 8 were showing signs of ASD and 14 were showing signs of Language Delay, but not ASD. To rule out ASD try to look for other indicators, especially his ability to communicate, his interest in people (faces) and shared attention (looking where you are looking or pointing). How does he communicate desires? From your description, he is able to get your attention by holding up an object, making gestures and calling on you. Those are all good signs! He likes to imitate, smile and interact, those are good signs as well. So how can you help him improve? The key is communication, the more the better. Read books, and make sure to point at the things in the book as you are talking about them (it is okay to read the same book many times). Encourage him to be expressive, ask questions that require him to express his desires, even if you already know what he wants. If it is a new word for him you can help to name the object “Do you want Juice?”, and of course point at it! If he already knows the word you can ask where “Where is the car?”. If you are taking a walk everyday point and name the trees, bicycles, dogs and other things along the road – once he knows the words point and ask him what it is. Have fun, and don’t stress too much about his language – it will come, and most likely in a big wave of new words all at once. My baby is 19 months and does not point . He reaches for things or climbs on things to get the object he desires . If he can’t reach he stares at the object then at me and cries . He doesn’t talk either just bables a lot and says mom and dad ( maybe a no and yes here and there) but that’s about it . If he wants something he usually grabs my hand and takes me where the object he wants is or he pushes me to where the object is . Is it normal that he does not point ? It all sounds pretty normal. He has already found several ways to tell you that he want’s an object, he will probably figure out pointing at it soon. How is he otherwise? does he like reading stories with you? does he imitate gestures like waving or nodding? Does he smile when he sees you? My baby is 19 months old and he points finger at things he want, smiles, claps and also touches head shoulder knees toes when I play that song! Plays with other kids, understands the command I give and does accordingly, when I say hug he hugs, waves bye bye, says very few words like car, mama, dada, ball. Smiles when I am back home from work or play peek a boo. He is attentive to who is around and picks the best known stranger(my friends) when he needs when I go hide in public parks. Picks up books and brings it to us to read. The most worrisome is that he does not recognize his name at all! We are worried a lot and my wife already got a panic attack reading through some signs of autism. Is it just a language delay or something serious? Btw we are first time parents, bilingual and did not pay attention to his name and used to call him by all nick names. Thanks for sharing your experience, love how you guys play hide and seek in the park! With no other signs of autism I think language delay sounds more probable, especially if you have been calling him by many different nick names. Is it perhaps the case that his name is a bit long and difficult for a toddler? Does he respond to any of his nick names? A fun little game of deductive reasoning you may try at the dinner table goes like this: Ask him to point out all the other people in the room, “where is Daddy?”, “where is Mommy?” And so on, ending up with only himself left, then ask “Where is Karthick Jr.?” (Sorry I don’t know his actual name). If he can’t figure it out you can all point at him together and say “here is Karthick Jr. “. You can play the same game just the two of you with a family photo. You may need to first name the owner of several items for him to understand the game – later you can make it more difficult by asking simply “who does this belong to?”. If he answers “me”, “mine” or “I” that is perfectly okay, you just reply “yes! This belongs to Karthick Jr.” That way he gets to learn that his name is something other people use to refer to him. Hope you will enjoy these couple of ideas. Try not to worry too much, your son sounds like a very talented little boy, however language development does take a little longer when you are bilingual. He will get there soon enough of course. My baby iboy s 8 months old. 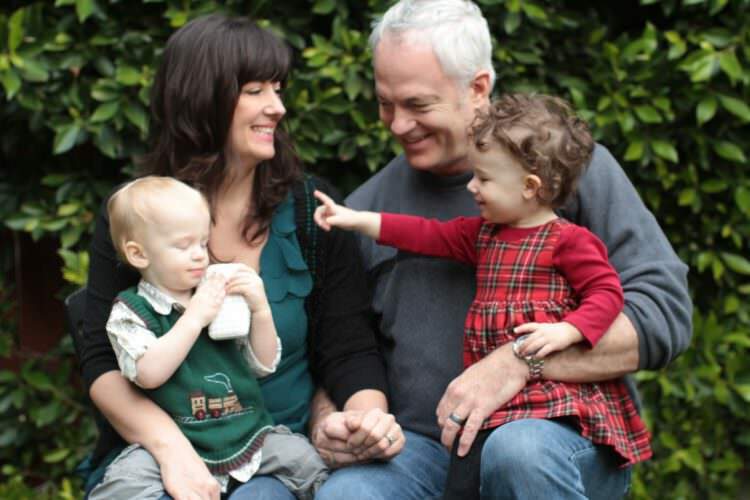 He was born with an under developed optic nerve, so he has little to no vision. However since a month old he would touch his index fingers together perfectly without knowing where they were. Since then he does this with all his fingers one by one. Now when i hold him, he feels for my thumb and meets it with his thumb…he also does this with all my fingers…marrying each one to his without looking….I’m amazed that he does this without thinking about it. He is quite advanced according to his milestones, besides the vision issue. What does it mean if he does this with his fingers? Hi Jesyca, thanks for sharing, it sounds quite impressive how your boy is able to do some early communication with his fingers even without vision. I don’t know much about development in children with reduced or no vision, but I would assume it is a good thing that he is exploring the world through his fingers. What do the doctors say, is his vision likely to improve?